DHY Trading Corporation has been engaged in manufacturing, supplying and exporting a comprehensive range of plastic pipes, since 2015. We are now reckoned as one of the most zealous HDPE Pipes Manufacturers in Mumbai. HDPE (High-Density Polyethylene) Pipes are manufactured by using raw material like PE80/PE100/PE63. HDPE Pipe in a very short span becomes one of the ideal choices among engineers and contractors because of their durability, reliability and wide application area. These HDPE Coil Pipes are used for carrying water, hazardous wastes, cables, chemicals, compressed gases, oils, etc. Furthermore, they are demanded in cable ducting. We have a team of trained engineers and all the resources to ensure best and safe productivity. As we counted among top-notch Perforated HDPE Pipe Suppliers and Exporters, so, we test products durability and quality before dispatching to the clients. 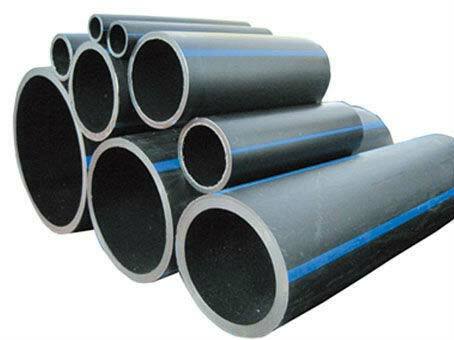 We offer HDPE Pipes in India at a competitive market price. Give us a call to discuss your requirements with our executives.